It’s LG G5 day! I know that doesn’t ring as loudly as it did on Galaxy S7 day, but the G5 is still a big phone, a big deal, and worth your consideration now that it is available for purchase and in stores. We’ve unboxed one, done a non-unboxing and tour, compared it to the S7, and given you our seven favorite features. We have actually talked a lot about it leading up until today. So if you have seen enough and are ready to purchase the G5 before our review is up (which should arrive next week), you will find all of the links below to your US carrier of choice. 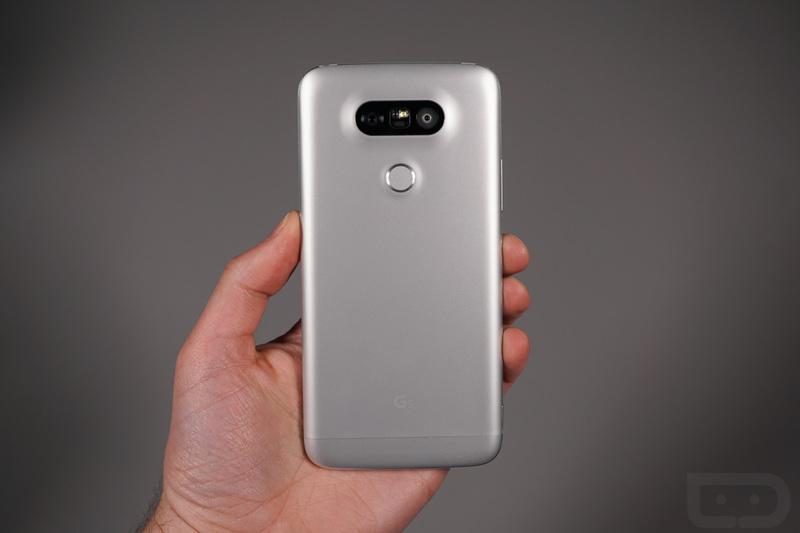 All of the carriers are offering some form of a freebie when you buy the LG G5, with specific carriers doubling down with extra goodies. Each carrier is at the very least, participating in LG’s free battery and battery charging cradle promotion. AT&T, Sprint, and US Cellular are only doing that promo. T-Mobile, on the other hand, is also giving away a free LG 360 CAMERA. Verizon, if you pre-ordered, is doing the same, but only if you pre-ordered. You can redeem promo offers here.